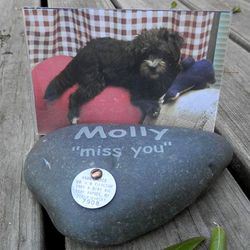 We do Custom sandblasting such as initials, symbols, and animal images on our rock products. Questions about ordering multiple items or shipping outside of the US? We will work with you on charges. 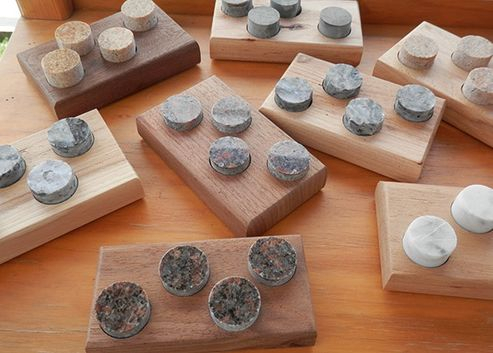 We hand craft beautiful, practical objects out of Lake Superior and Minnesota stone. 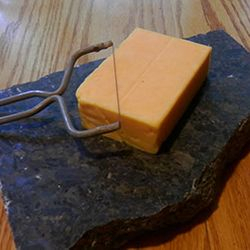 Each rock creation is unique. 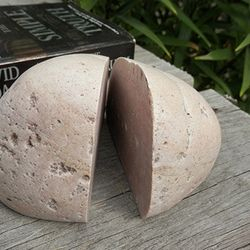 Let their stark simplicity bring a calmness to your home, office, and wardrobe. 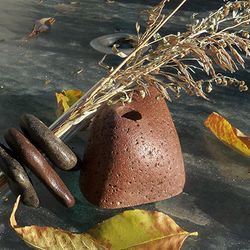 We developed our concept of functional rock art objects in 2007 after years of collecting Lake Superior rocks. 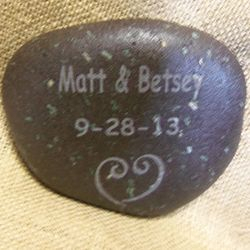 It started with one perfect rock that Mark made into a necklace. 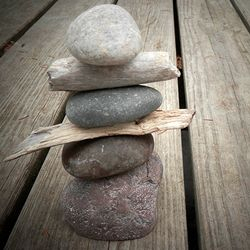 He went on to make lamps based on traditional cairns. 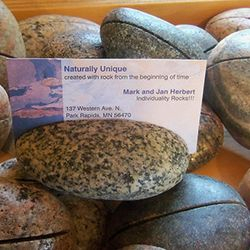 More than 30 products make up our product line with new ideas being developed using Minnesota's rocks. 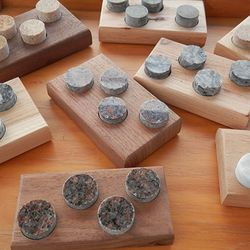 We make our products from start to finish -- selecting the rocks at the shore, cutting, drilling, sandblasting and finally selling the finished item at craft shows, online or at our shop.